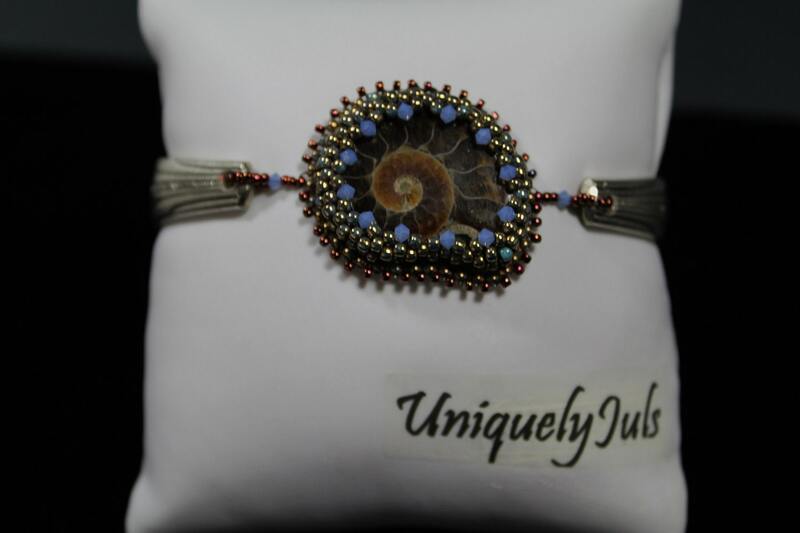 This beautiful Ammonites fossil has been bead embroidered with lush Gilded Opaque Turquoise Marbled TOHOS and surrounded with tiny Air Blue Opal Swarovski crystals. The back is enclosed with Buckskin Ultra Suede and edged with tiny copper. Total length of bracelet is 9" with the option to shorten to 81/2". This is truly a one of a kind!